Throughout my life, my dad and I adored each other but never seemed to have enough time to be together. Now, we have the time. Yesterday we watched a bird for an hour on his porch in the rain. We are connected in the moment. We can’t talk about the past. Larry has dementia. He is aware of his limitations. When asked about this he has always said…”It is what it is”. Larry lived his whole life in Memphis where he was a beloved member of the community. 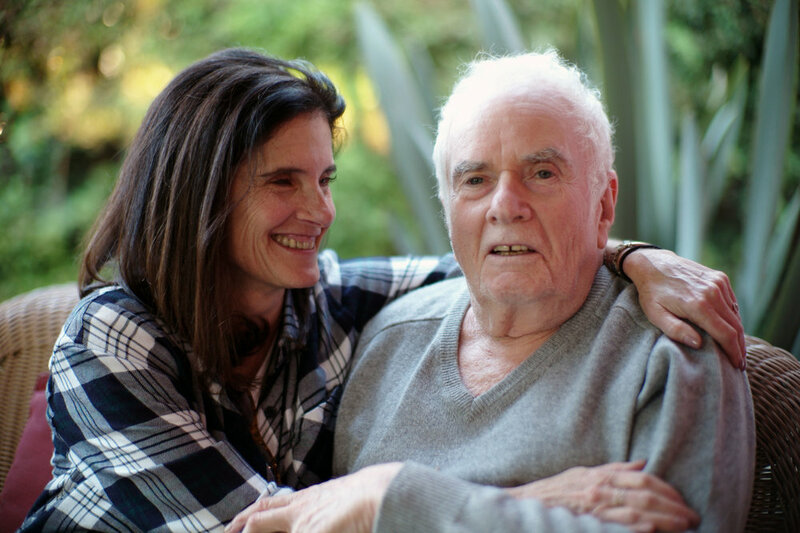 When he could no longer hide his dementia from his family, I brought him out to Los Angeles to live with me. Once he got here, I took him to doctors that I trusted who got rid of of unnecessary medications that were making him sleep as well as lowering dosages of other medicines. Larry told me he felt like Rip Van Winkle; like he’d woken up from a long sleep. He said everything was beautiful again. Memories returned, he slept less, he became involved with my family and the community. We joined Music Mends Minds where we met Serene Meshel - Dillman, who is filming The 5th Dementia,* a documentary about the band that Larry sings with every week. He loves being a part of this project. He never had any musical background but there is a strong sense of community at the rehearsals that lifts his spirits. He always comes away from singing with the band feeling great. We play music all the time at home now. Larry has spirituality and a belief that all is good in the universe. He never gets dark or angry. We go to temple on Friday evenings because he gets more of the feeling of community that he enjoys there. The rabbi always says Larry is closer to God than anyone else there, even in his state. When Larry first came out to LA, the ripple effect of caring for him became too much for me. A social worker at UCLA told me that on a scale from 1 - 10, I was a 12 and that I was going to burn out fast. To keep myself healthy, I aimed to be a 3! I was able to get caregiving help for him which relieved me quite a bit. He now lives in a house near me with his caregivers. I visit him every day. Larry used to have note pads everywhere to remind himself of things he did not want to forget. Even with the notes, he would ask me to remind him not to forgot something. He knows things are slipping but he can still relate to me how he feels from his heart. His continued happiness is my most important goal. The music, his caregivers, my time with him and keeping him out of pain and in a healthy body all contribute to this. And now that I’m a “3”, I am keeping myself healthy too.